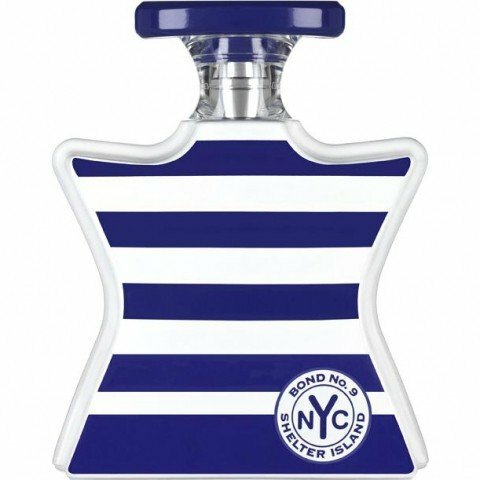 Shelter Island is a popular perfume by Bond No. 9 for women and men and was released in 2014. The scent is aquatic-fresh. It is still in production. 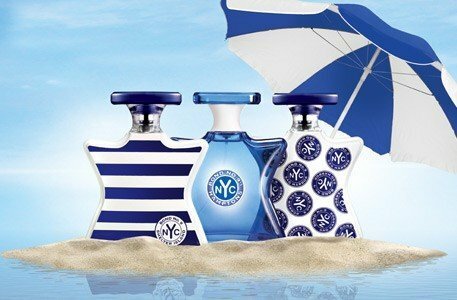 Every time I think about this fragrance and when I pronounce it, I do it wrong, maybe this comment will change that if I just write Shelter Island often enough. I'll find that out in the end. Maybe it's because I'm an absolute film freak, at least the scent is often called Shutter Island, instead of Shelter Island. A psychothriller appeared in 2010 with Leo di Caprio and Mark Ruffalo in the leading roles with Twist at the end, a so-called mindfuck. But predictable in my eyes. But I find the idea of comparing perfumes with films exciting. Ah, that's another hit and some of them don't think it's funny. The author did. This is fun, try it out. But there are actually similarities to the scent and film. On the one hand, they are both islands, although the one in the film is fictitious. On the other hand, the scent is predictable at first, similar to in the film, you think you can recognize the automatisms. As is well known, islands are on the water, therefore an aquatic scent, of course, I thought to myself! Stinging in the first minutes and nothing spectacular new that reveals itself to my nose. I thought so! I don't perceive direct lemon, so nothing citric, but fresh, before it gets a little floral. I don't recognize algae as such, but then, like in the movie, a twist comes at the end or in the perfume rather in the middle part, which I would not have expected. With the increase in oud and I think myrrh, at least something spicier, this scent here turns the screw without losing its freshness into the oriental. It becomes a little balsamic/aquatic. Sounds funny, but is so. I really didn't see that coming and I like it a lot. So, two worlds meet and mix. Here the film could also be called Matrix. The whole thing stays that way and doesn't change anymore. The whole thing is pure synthetic, but well done, lasts a good 6h and is terribly overpriced. His Sillage isn't the very best either. Nevertheless, he is different than others and I am positively surprised, because I am not sooo for Aquate, they must have something special with me already and this definitely has. I'd get it for less money. If you like, you can give it to me. I'd be happy to. Very hard, actually. Pedition Shelter Island for Schoork. Quasi Schoork Island. Well? This is the moment when those who don't like me would also like to land on an island. Makes real mood this Shelter Island. Bond No.9 is a brand I think is really great. The prices are really extremely steep and overpriced, but the fragrances are mostly very solid and good. This I wanted to test umbedingt, because I as a large Aquat fan also gladly times more expensive Aquaten test. Bought a little bottling. Price for 100ml is about 200Euro. First, a word of praise for the Bond bottles. For me, one of the best flacons there is. The typical shape, which all have is simply original and a great trademark. In addition there is a stylish design, which doesn't look cheap. Very good patterns and colour combinations included. Here rather unspectacular, but suitable for a rather aquatic fragrance. The fragrance smells from the first second on very high-quality and pleasantly fresh. The aquatics reminds me totally of Kenzo Homme, but it's not a twin of scents because it has more nuances. To divide this fragrance into head-heart and base is not quite right here. Only the soft base gets through well in the end, otherwise little development. It's not dramatic if the fragrance is convincing, and it is. I don't notice much of algae, if they're more in the background. As I said, the aquatics are heading towards Kenzo Homme. These two are clearly similar in scent type and have a similar vibe. If you smell exactly and concentrate you will recognize many other scents. Above all, a pleasant floral freshness and an extraordinary oud note. Extraordinary, since Oud in combination with fresh aquatic notes is already very extravagant. I'm not an oud fan, but here it harmonizes totally and doesn't look fat. In addition, there is a citric freshness and the fresh flowery Oud-Aquat is ready. In the base, it is softer with musk, amber and above all a soft woody note. Class! All in all a great harmonious creation for sporting and summer activities. All in all versatile, as it will certainly win many sympathies. I already tested it in sports. You can wear it well, but for me it's most likely a leisure fragrance. Performance is OK for a fresh fragrance. There are cheaper ones that are clearly better in this category, but it is satisfactory. Sillage is quite pleasant and well dosed. The shelf life should be around 6 hours. I sign unisex 100%. A good release for me as a whole. A purchase recommendation I give only conditionally, since it is quite expensive. But you can think about it, because he has style and is really original. Especially Kenzo Homme fans should test this one.